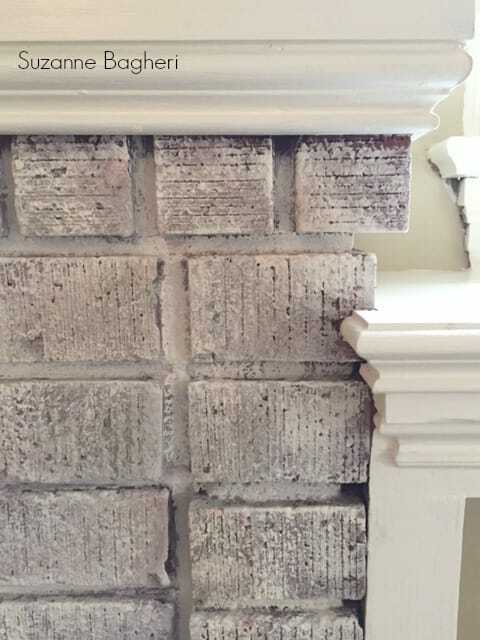 I spent the day today working on transforming a dated brick fireplace. I was doing it for an interior designer’s client in a home in Northwest, DC. The house was the prettiest house. 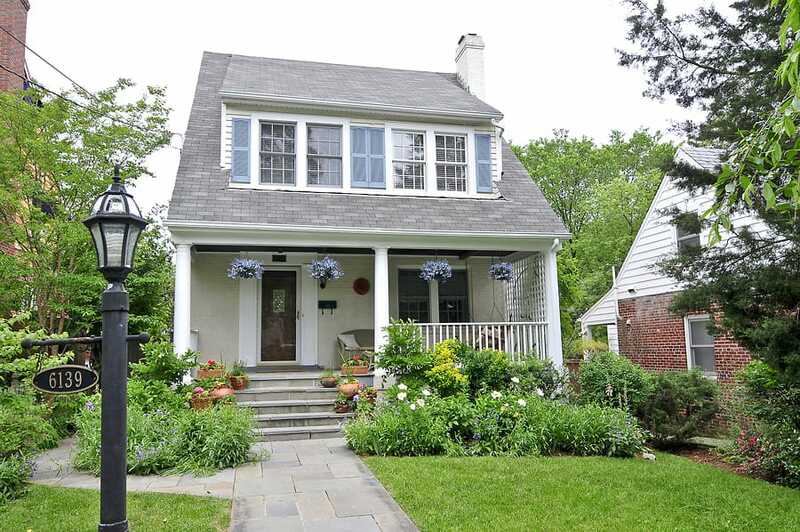 It was originally a Sears Catalog Home and just full of light and charm. 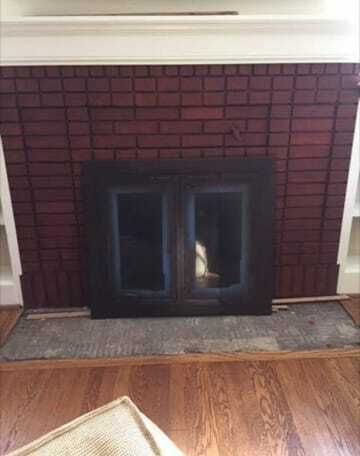 However, the brick fireplace needed help. It had already been painted in a dark, brownish red at some point and the mortar had also been painted in an almost black color. The overall appearance was really dark and dated. 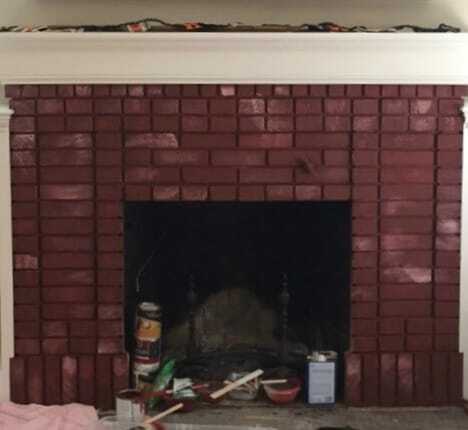 The customer wanted it to look like my fireplace (below is my fireplace the day I worked on it). 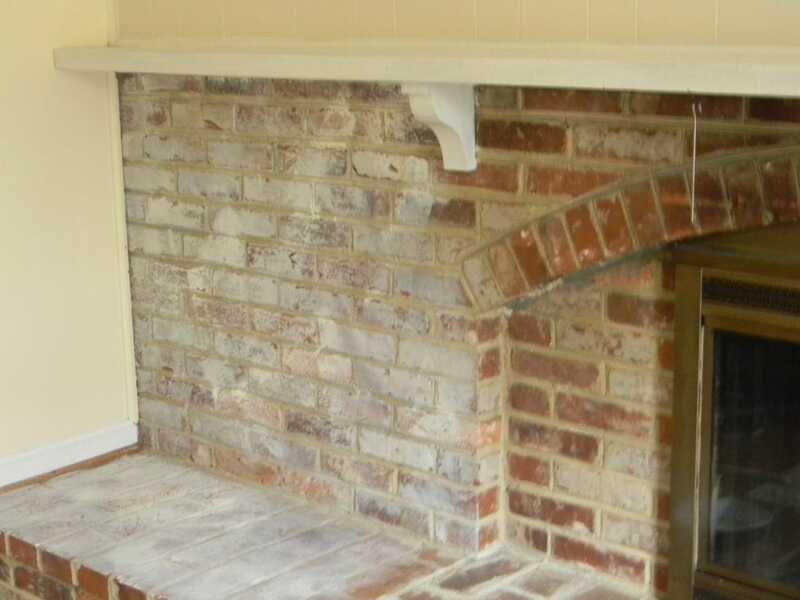 When I whitewashed my own brick fireplace, it had never previously been painted (as the one above). 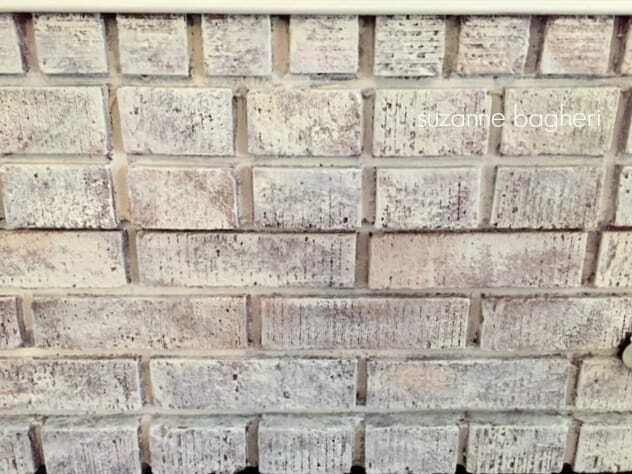 Also, my brick is the variegated type, meaning it is different colors vs the dark. 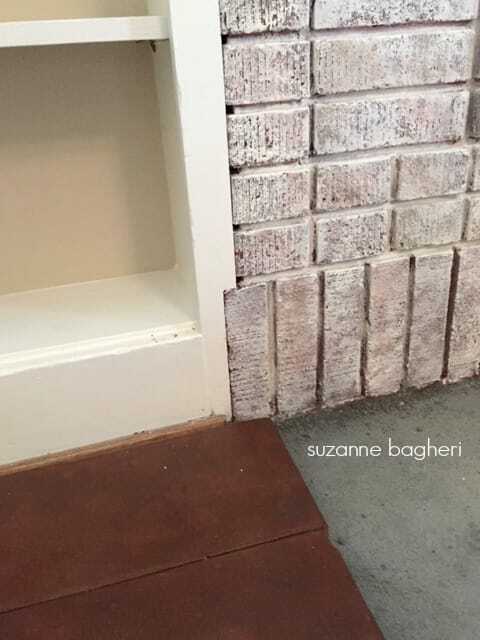 The variagated brick gives the whitewash a lot of interest as the differing colors pop through. 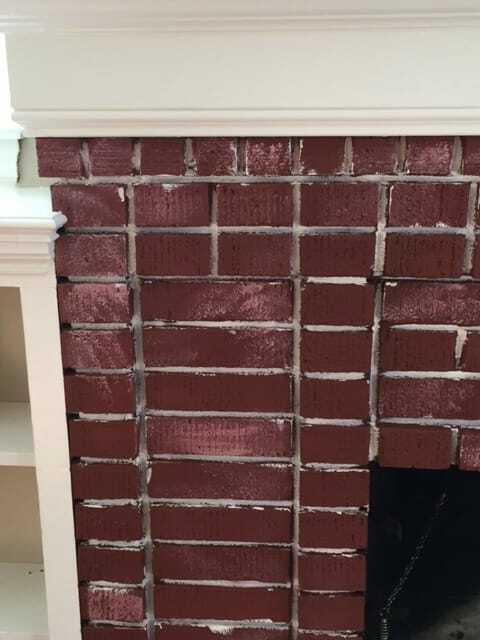 In order to create a more interesting base coat on this brick fireplace, I added a light coat of Annie Sloan Primer Red over all of the bricks. Using a decorative brush, I painted the mortar in Annie Sloan Old White. 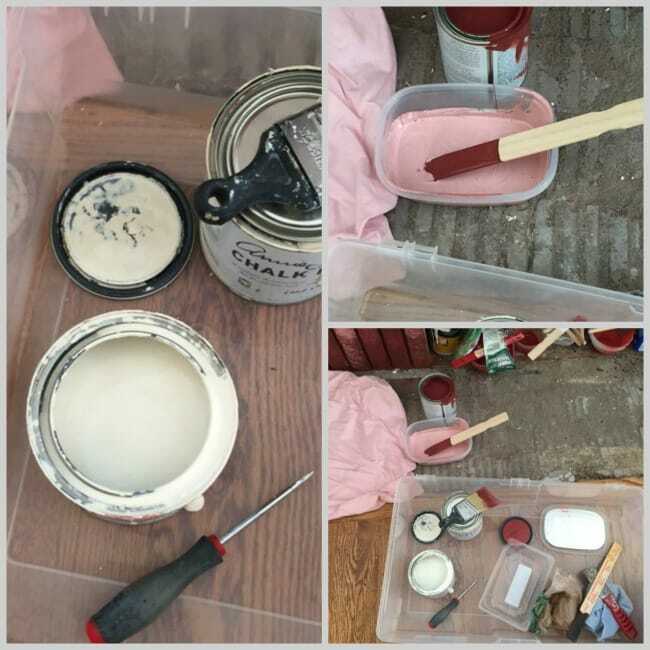 I then mixed the white into the red and dabbed it over some of the bricks and added a little Annie Sloan Coco. Here (on the bottom left) you can see the tile that will be installed on the hearth – it goes quite well with the brick. Happy client! Wow, I love how you created such varied interest in the paint colors! Great lesson, great work. 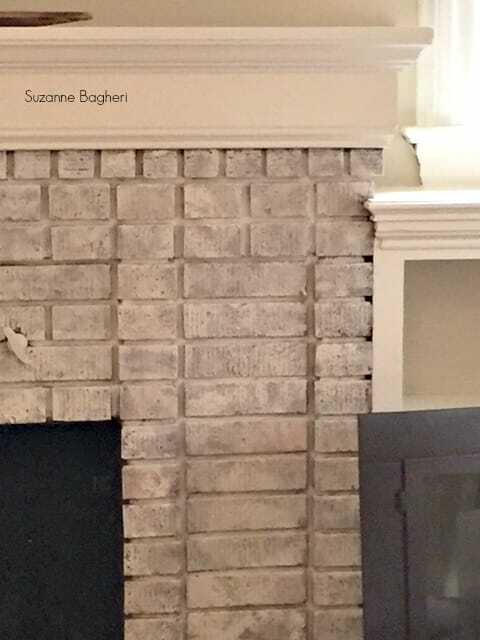 ( I recently had my fireplace painted in ASCP Old White….your fireplace makeover was the catalyst for my update). Would love to see the final rendition when the tile is in place. Thank you! Hi Jeannie – thanks so much! 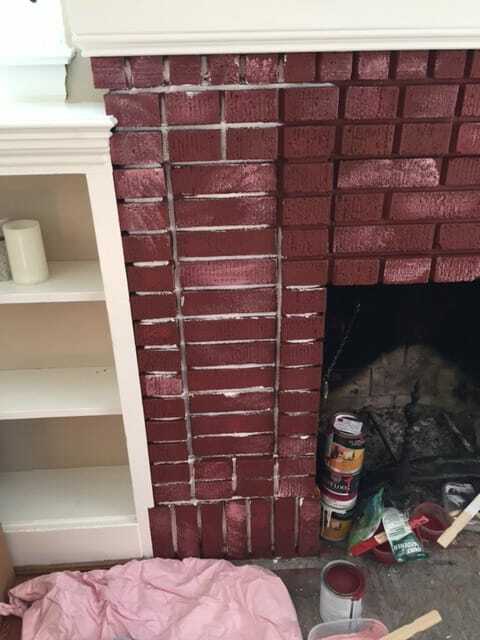 I am so glad you painted your fireplace – I bet you love it 🙂 Cheers! I painted my huge fireplace back in the 1980’s – hated the look of it – and everyone back then said NO you can’t paint a brick fireplace. Ha. Biggest selling feature of the house when I sold! Love this beatutiful job, love your make overs. Everything you do is just so beautiful! You are truly a real talent. Good for you! I bet it looked fantastic! Thanks so much Linda! Such a nice transformation! I hadn’t thought about how you’d need to change steps if the brick had already been painted. Thanks for sharing! Hi Blake – yes the base basically is what shows through the wash so it had to be changed. Thanks so much! What a difference, it’s just lovely! Looks great! So much lighter and cleaner looking. 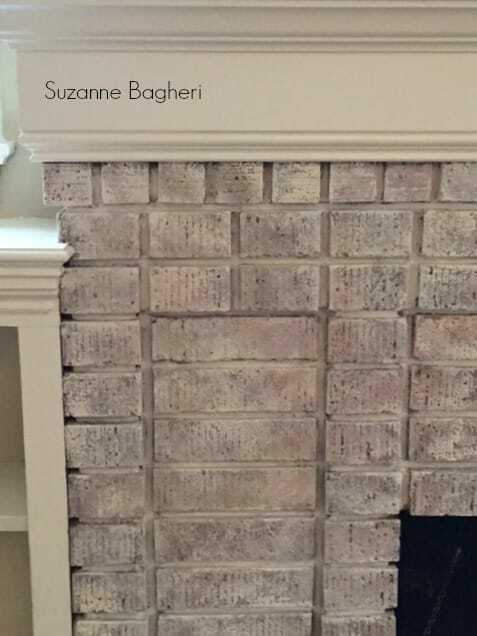 I have this exact brick ( unpainted) in my fireplace. This has now convinced me to pull the whitewash trigger!